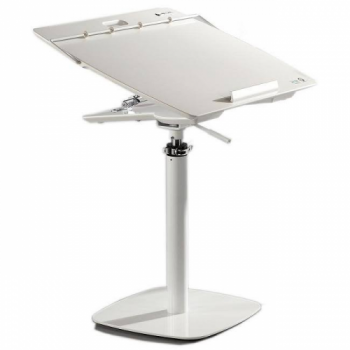 Our Fully Adjustable Ergonomic Laptop Desk – White is a multi-function desk that can be used with laptop or magazine, file viewing. The laptop desk table top is made of environmentally friendly materials with piano lacquer, which has 7 tilting angles ranging from 0 to 45 degrees. 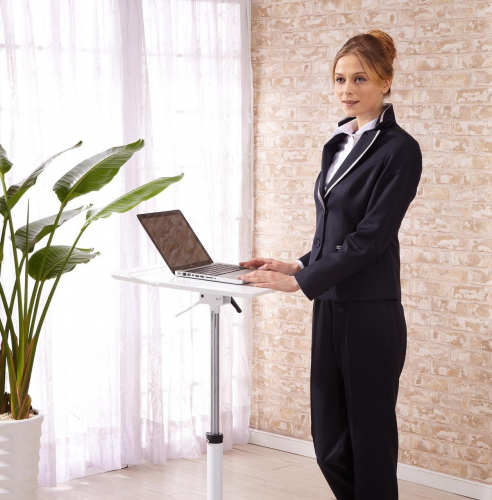 The height adjustments are made extremely simple and effortless with the gas lift mechanism, ranging from 26.8” to 41.9” (68cm – 106.5cm) for sitting or standing positions, an ergonomic feature for healthier and more relaxing work environment. 360 degree rotation makes sharing easy and convenient. You may also lock the table top in position if desired. 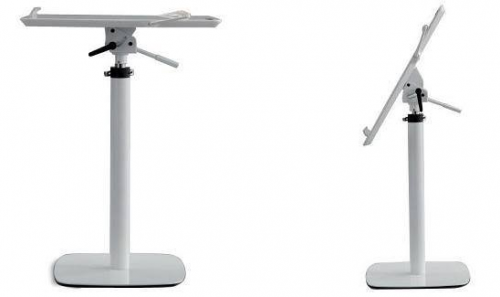 You may separate the table top and the stand by simply releasing 4 screws, so you may carry the unit out of office or home to where you would like to work. We designed this product to make people comfortable. 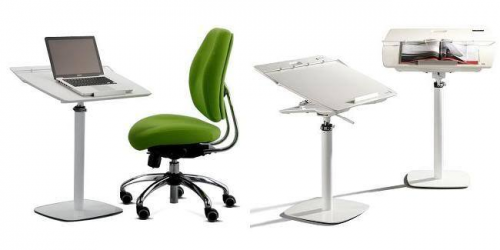 It’s fully adjustable and allow users to sit or stand while working, providing more flexibility and more effectively relieving pressure on users’ spines, shoulders, necks and arms. 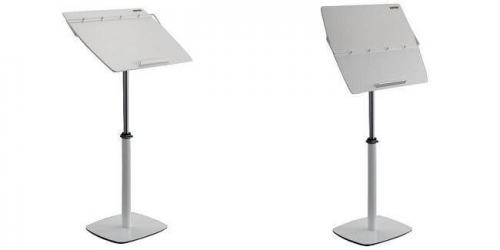 This adjustable laptop stand makes a perfect office or home office companion. 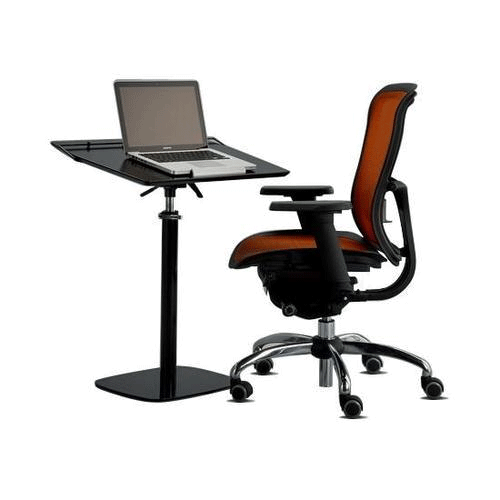 Gas lift height adjustment mechanism, ranging 26.8” – 41.9”, facilitates both sitting and standing positions. Table top is painted with environmentally friendly piano lacquer.